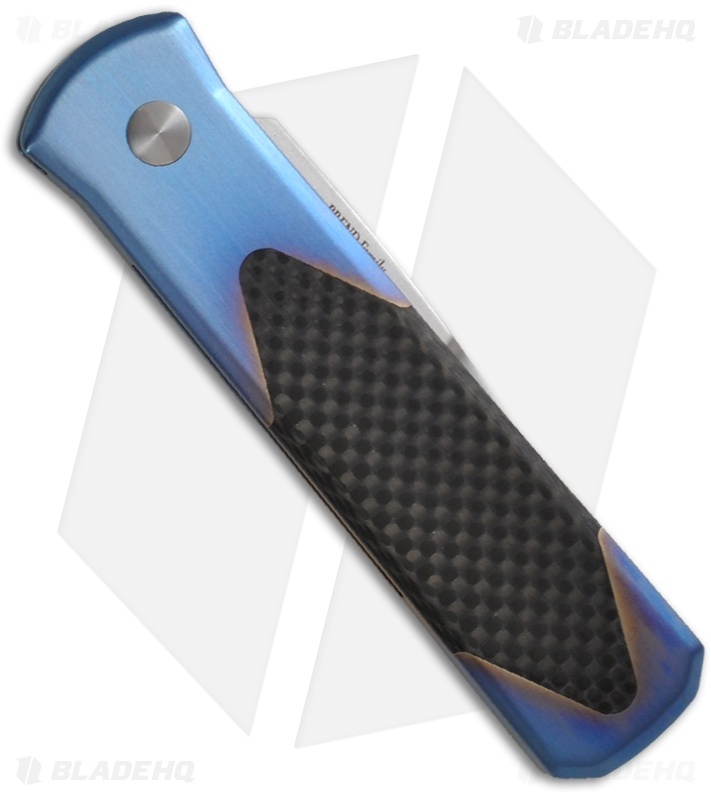 This Custom Godson features a hand finished multi-color blue 6al4V titanium handle with diamond shaped carbon fiber inserts front and back with a matching firing button insert. The Brend hand finished satin 154-CM stainless steel blade is exquisite. 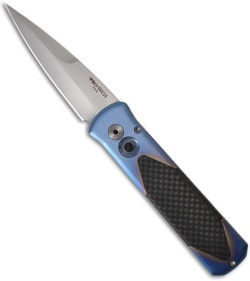 This is a beautiful knife that will enhance any collection!